Our year 6 pupils really made us all proud this week with their mature and focussed attitude to their SATs tests. The tests were challenging, but the children were not put off by this and they all tried their absolute best. Well done, year 6! Thank you to you all for your generous donations of gold coins for today’s non-uniform day. 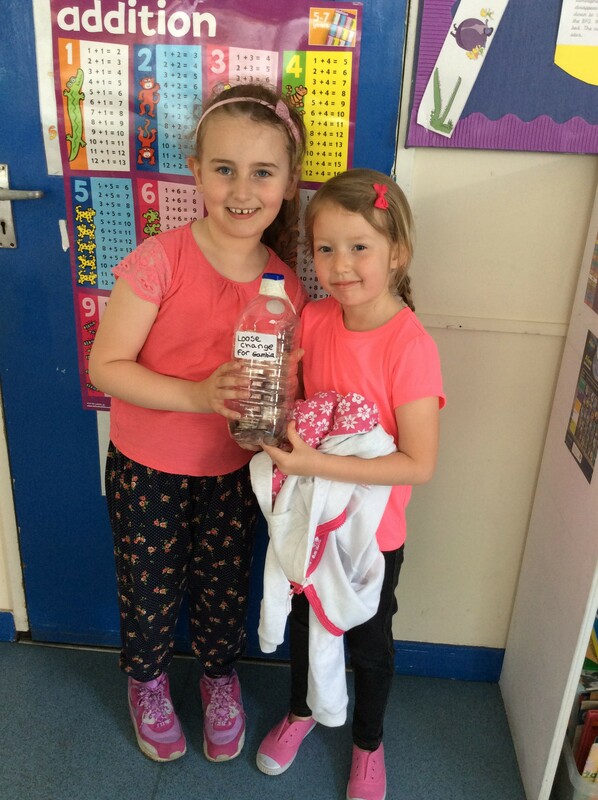 This means that we can now pay the full amount of sponsorship for our 2 girls in The Gambia. 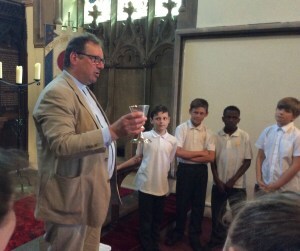 Year 5 and 6 visited St John the Evangelist church on Thursday afternoon to learn about Holy Communion from Reverend David and his wife, Emma. They had an opportunity to learn about the origins of Holy Communion and to see how the rite of Holy Communion is carried out. Jonathan Goodwin from School Admissions will be holding a meeting in school for all parents of year 5 children on Monday 13th June. Parents last year found this meeting extremely useful in understanding the procedures for applying to secondary schools. I would urge all parents to attend. The meeting will start at 6pm. If you have not paid for your child’s clubs which have a charge (cooking or sports) please bring the money to the office as soon as possible. Year 6 and 2 SATs clubs are now finished, so the children can choose another club to start after half term. Mrs. Hood will give out letters for these children next week. There will still be a maximum of 2 clubs per child. I hope that all of you have the 18th June in your diary for the School Summer Fair. It promises to be a great event. Asteroid chicken burgers ; Cosmic fish fingers ; U.F.O vegetarian pasta with a Saturn’s ring doughnut for dessert. Meals cost £2.15 for KS2 children and are free to all children in Reception, Year 1 and Year 2. Class 1 and 2 :99.33% ; Class 3 and 4 : 97.93% ; Reception : 98% and Class 5 and 6 : 98.67%. This is a huge improvement. Well done ! Albert Gilbert, Elena Marshall and Miller Davis for earning their place in this week’s Gold Book for excellent learning behaviour. Well done to the following children who received a commendation for upholding our core Christian values : All of Year 6 (Perseverance)- attitude during SATs ; Alfie Makepeace (Perseverance)- trying really hard to improve his handwriting; Sasha Goodison (Compassion)- being kind to the younger children; Oscar Knight and Rhiannon Geca (Friendship) being kind to their friends; Adaora Emechebe for writing an excellent book at home; Miller Davis for trying school dinners for the first time and Freddy Parrish for excellent writing in phonics. Class 1 and 2’s Work of the week was awarded to Chidi Emechebe for his descriptive writing, Reception’s to Brooke Thorn for writing a fantastic sentence independently, 3 and 4’s to Elena Marshall for her explanation writing and Imogen Snell for her rhyming couplets poem, Class 5 and 6’s to Conor Hazelwood for an excellent poem about the planets. Well done! Congratulations to Ruby Walton, who was awarded the Headteacher’s award for living out our school motto: ‘The best that I can be’ through her excellent attitude to work and exemplary behaviour.